UPDATE: Legere said today, October 7, that the giveaway isn’t appropriate right now, likely because of Hurricane Matthew. It’s on hold until next week. 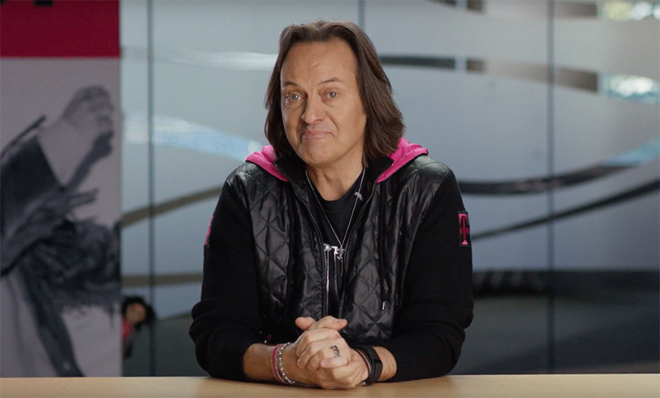 A couple of weeks after celebrating his fourth anniversary at T-Mobile, John Legere has surpassed the three million follower milestone on Twitter. Today he announced a giveaway to celebrate the achievement. The trip to Mars is the highlight here, with one winner getting to travel in space. Few people ever get to go to space at all, and a trip to Mars is currently a major focus of companies like Elon Musk’s SpaceX. However, it’s worth noting that this contest’s official rules say that “in the case that a trip to Mars is not commercially available,” the winner will get a check worth the value of the trip. While that’s not a trip to Mars, it’s still a pretty nice prize. This sweepstakes will run from October 5 until October 11 at 11:59 PM PT. The winner will be announced at 12:00 PM PT on October 12. If you’d like to enter, retweet this John Legere tweet. What happened to us? I work for Tmobile as well..
Will my Simple Choice plan get free international data and texting on Mars? I’m pretty sure some are gonna try the 1,000,000. But….there’s no service on Mars…So he’d lose a customer. I KNOW! He’s gonna rig the system to give the prize to the most annoying customer out there so they stop calling all the time! Can I send some one to mars in my place? She’d be the only survivor. Send Trump. John and T-Mobile hate him. Can anyone explain why the “un-carrier” is now charging a $0.75 “tax” every time I refill my prepaid plan online, but if I buy a refill card from a store, I don’t get charged that “tax”? It just doesn’t seem to jive with the “un-carrier” principles. i know my state just instituted a new tax on many online digital purchases. sound like the culprit. name one CEO without a big ego. Dude, he basically picked up T-mobile from the hands of the big two and make it it way better. Just hope he keeps it that way. How about keep expanding the 700-HZ signal instead. Same story, as soon as a company makes a few dollars, they get all excited and lose it. Is there a T-Mobile coverage map of Mars? Could someone send him a free trip to the barber? Dude’s starting to look like the freakin’ Cryptkeeper. He looks ridiculous!